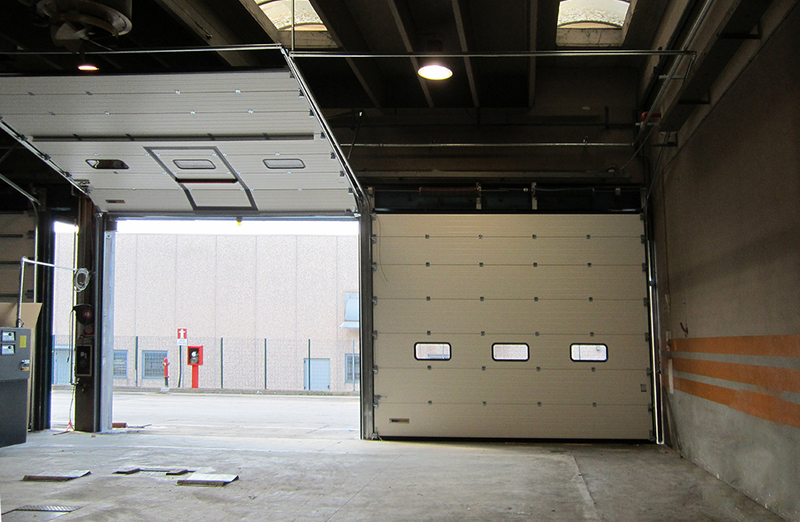 Kopron and Autoguidovie SpA together again for another success: the installation of new doors for improving logistics. The two companies have already worked together in the past when Kopron installed at the Florence depot fast opening doors model ‘Fast Wall’. Now new doors were required for another depot. 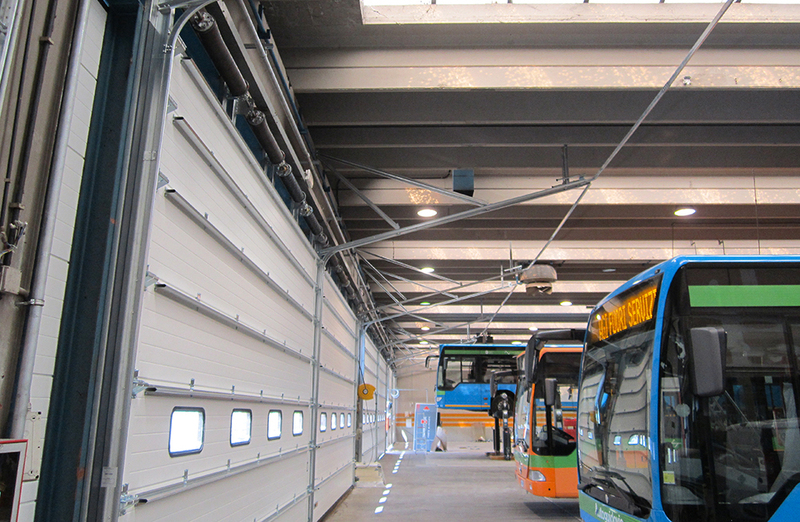 Autoguidovie, one of the most important private bus companies in Local Public Transport located in Milan, requested Kopron to install ten motorized sectional doors to close the huge bus depot located at Desio (near Monza). 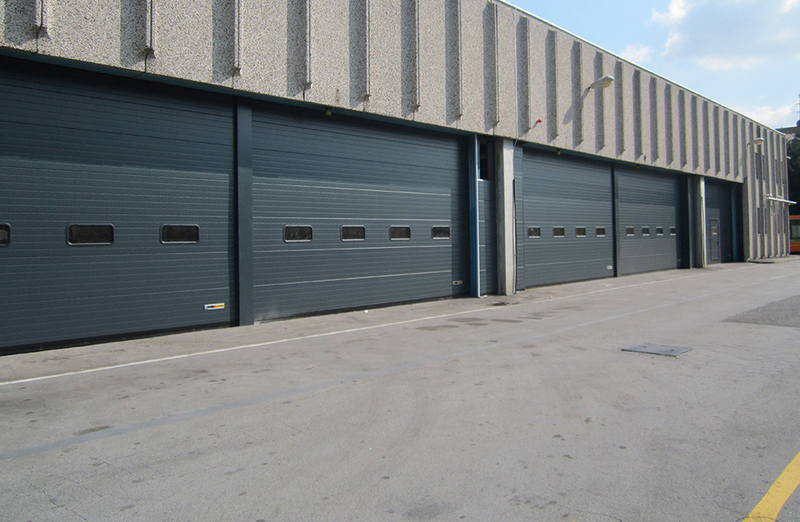 “Kopron sectional doors are the ideal solution to make commercial and industrial buildings become more functional adding value to the architecture – Said Mr. Maurizio Colombo, Kopron Product Mgr. - they are perfect in busy areas, they insulate and divide departments opening and closing rapidly, enhancing logistics efficiency”. Kopron offered an excellent integrated design service. Kopron technical department studied for each door the right size and with special lintels to fit in the building. The doors reach a width of 8,6m and are 4m tall. Usually standard width is 4m. The strengths of Kopron doors lie in the excellent panels they are made with: the CFC free expanded polyurethane filling is able to guarantee the best insulation. All panels are reinforced with pre-painted carbon steel profiles. “Customer chose our technology because we managed to study out a customized solution as we did in Florence – Said Kopron CEO Mr. Mario Vergani – Nowadays, more and more customers do not request standard products, but need solutions tailored to their specific needs”. 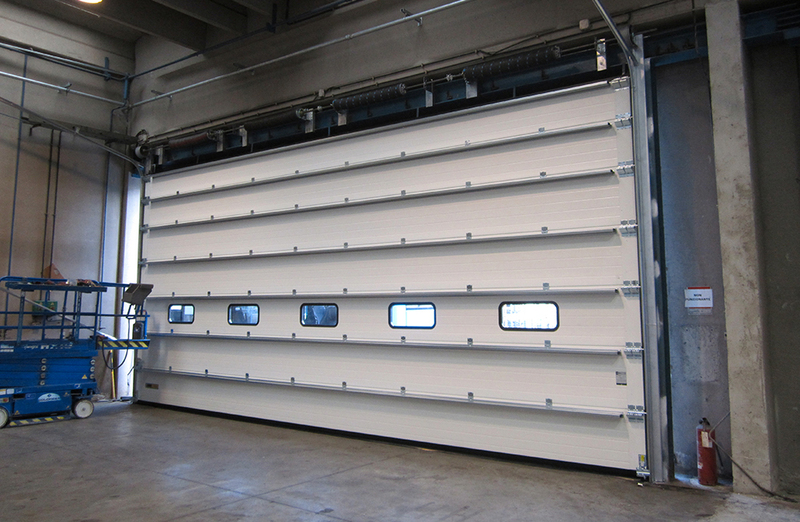 All sectional doors installed at Autoguidovie are motorized with pushbutton and remote control system. Thanks to the quick opening/closing movements, vehicles will not waste any time in waiting or due to manual operation. The level of technology reached by Kopron in production, enable the doors to fit in any building with a perfect combination of functionality and design with no maintenance needed.